MWSRP, with help from contributors to the Big Fish Network, has logged over 6,000 encounters with whale sharks since 2006. It is part of the work we do to compile and communicate the findings of our studies so that decision makers in the tourism industry and government can put the correct measures in place for sustainable tourism. Effectively managed whale shark sites can provide safe and enjoyable encounters, both for guests and the sharks. …who should we go with? Who are the best whale shark tour operators? Ask your prospective host about these. If they give good answers to all three then you know you’re with one of the good ones! …what can I do to reduce my impact and/or help the whale shark? Ah! music to our ears! Remember – it is up to all of us to do our bit. The biggest issues on the reef stem from guests with unrealistic expectations. Often through no fault of their own they will expect to see a whale shark. This is translated into pressure that is felt by the guides, the tour companies and before you know it guest experience can overtake concerns for the whale sharks experience. In South Ari your chances are probably 50/50. Which is actually pretty good, after all you’re not in an aquarium. So our advice is to make peace with that, stay philosophical and treat the area and the sharks with the reverence they deserve. South Ari is an incredible day out on the boat whale shark or no whale shark! Stick to a few common sense guidelines. So first things first, make sure your own impact on the whale sharks is as small as possible. The ‘How to have a safe and enjoyable whale shark excursion’ animation below was made for operators as well as their guests. It lays out the most important rules for both tourist and operator as designated by the relevant government departments in 2009. Again if your operator doesn’t appear to be aware of these guidelines, then question why not. Until regulations are in place, positive pressure from informed guests like you will have the biggest impact on the conduct of the industry. Help science help the big fish! Being a citizen scientist means contributing important data about your encounter to researchers. Did you know that every whale shark has a unique spot pattern, just like a finger print? We now have around 400 sharks on our register. 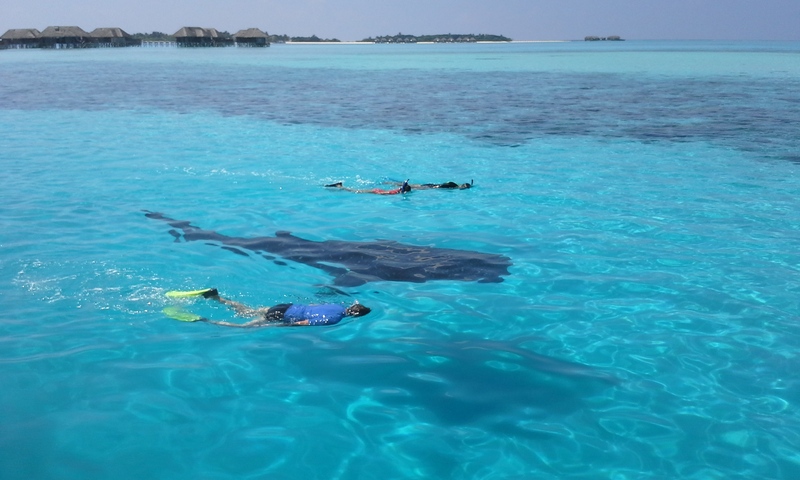 If you are intending to visit the Maldives and hope to swim with a whale shark you can now contribute your encounter data directly to us through the ‘Whale Shark Network Maldives’ mobile app, free on iOS. Please click here for more information.By submitting photographs of the shark you saw to the Big Fish Network you can help us ‘track’ an individual whale shark. This technique underpins almost everything we’ve found out about whale sharks in the Maldives to date. Good research informs good management decisions which in turn creates good karma (probably 🙂 ).